Previewed not too long ago, version 5.0 of Google Play that features Material Design is sneaking onto the web, ahead of an official launch from Google. If waiting for the update to hit your phone does not sound like fun, you can download and sideload the apk file from the links below. 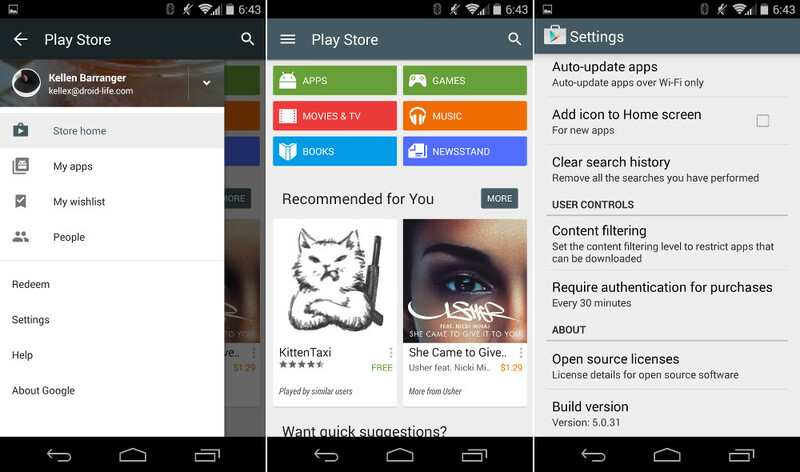 Update: We took the new Google Play 5.0 for a spin, should you want to see what’s new!